Our Social Stability aspiration is that the region embraces our social diversity as an asset and supports a community where all residents have the opportunity to succeed. Economic prosperity requires communities that are not just surviving, but thriving. The “cost of poverty” is substantial: in 2014, $793 million in Federal, State and local funds was spent toward subsidence payments to the nearly 2,000 families needing assistance in the region. It’s also important to note that the highest concentration of households in poverty in our region lives within only one percent of the land area. 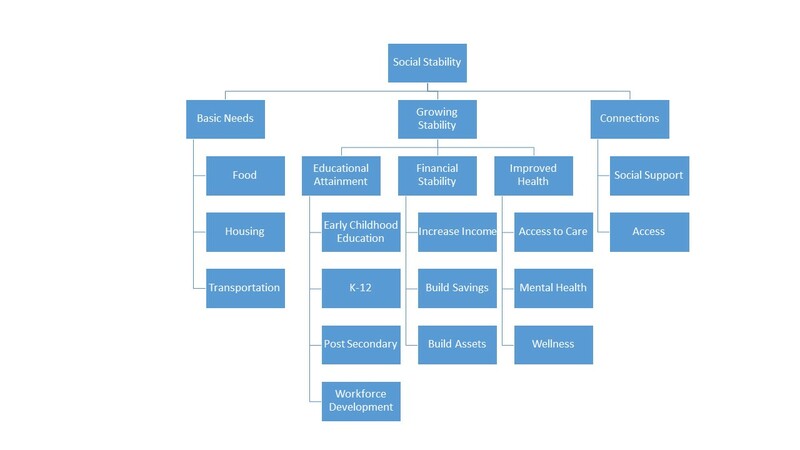 Our Social Stability Action Team is focused on examining the elements of stability and better understanding and aligning the resources we currently have available. The Office of Community Wealth Building has compiled an annual report, with interests CRC shares, on how to increase the prosperity and success of all citizens in the region. 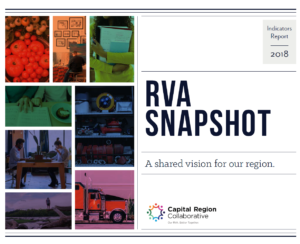 Housing the Richmond Region is a report created in part by the Capital Region Collaborative to determine how groups can work together to ensure adequate housing for Richmond residents of all incomes and circumstances.